Match ends, Junior 0, Atlético Nacional 0. 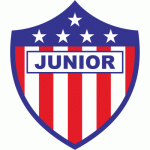 Second Half ends, Junior 0, Atlético Nacional 0. Luis Narváez (Junior) is shown the yellow card for a bad foul. Jeison Lucumí (Atlético Nacional) wins a free kick in the defensive half. Foul by Luis Narváez (Junior). Attempt saved. Luis Díaz (Junior) header from the centre of the box is saved in the centre of the goal. Assisted by Michael Rangel with a headed pass. Rafael Pérez (Junior) wins a free kick in the defensive half. Foul by Jeison Lucumí (Atlético Nacional). Attempt missed. Michael Rangel (Junior) left footed shot from the left side of the box is too high. Assisted by Sebastián Viera. Corner, Junior. Conceded by Deiver Machado. Attempt saved. Sebastián Gómez (Atlético Nacional) left footed shot from the left side of the box is saved in the centre of the goal. Attempt missed. Víctor Cantillo (Junior) right footed shot from outside the box is high and wide to the right. Substitution, Atlético Nacional. Brandon Caicedo replaces Yerson Candelo. Offside, Atlético Nacional. José Cuadrado tries a through ball, but Jeison Lucumí is caught offside. Carlos Cuesta (Atlético Nacional) is shown the yellow card for a bad foul. Foul by Carlos Cuesta (Atlético Nacional). Daniel Moreno (Junior) wins a free kick in the attacking half. Daniel Moreno (Junior) is shown the yellow card for a bad foul. Vladimir Hernández (Atlético Nacional) wins a free kick in the defensive half. Foul by Daniel Moreno (Junior). Attempt missed. Yerson Candelo (Atlético Nacional) right footed shot from more than 40 yards on the right wing is too high. Foul by Michael Rangel (Junior). Carlos Cuesta (Atlético Nacional) wins a free kick in the defensive half. Attempt saved. Deiver Machado (Atlético Nacional) left footed shot from the left side of the box is saved in the bottom right corner. Assisted by Jeison Lucumí. Attempt blocked. Germán Gutiérrez (Junior) left footed shot from outside the box is blocked. Assisted by Víctor Cantillo. Substitution, Atlético Nacional. Pablo Ceppelini replaces Aldo Leão Ramírez. Corner, Junior. Conceded by Daniel Bocanegra. Attempt missed. Jeison Lucumí (Atlético Nacional) right footed shot from outside the box is too high. Assisted by Sebastián Gómez. Attempt blocked. Luis Díaz (Junior) right footed shot from outside the box is blocked. Assisted by Germán Gutiérrez. Attempt missed. Marlon Piedrahita (Junior) right footed shot from the right side of the box misses to the left. Assisted by Víctor Cantillo. Substitution, Atlético Nacional. Vladimir Hernández replaces Omar Duarte. Luis Díaz (Junior) wins a free kick in the defensive half. Foul by Yerson Candelo (Atlético Nacional). Attempt blocked. Aldo Leão Ramírez (Atlético Nacional) left footed shot from the right side of the box is blocked. Assisted by Yerson Candelo. Attempt missed. Luis Narváez (Junior) header from the centre of the box is too high. Assisted by Daniel Moreno with a cross following a corner. Corner, Junior. Conceded by Helibelton Palacios. Attempt blocked. Luis Díaz (Junior) right footed shot from outside the box is blocked. Substitution, Junior. Michael Rangel replaces Sebastián Hernández. Helibelton Palacios (Atlético Nacional) is shown the yellow card for a bad foul. Luis Díaz (Junior) wins a free kick in the attacking half. Foul by Helibelton Palacios (Atlético Nacional). Foul by Víctor Cantillo (Junior). Aldo Leão Ramírez (Atlético Nacional) wins a free kick in the defensive half. Sebastián Gómez (Atlético Nacional) is shown the yellow card for a bad foul. Foul by Sebastián Gómez (Atlético Nacional). Daniel Moreno (Junior) wins a free kick in the defensive half. Substitution, Junior. Daniel Moreno replaces Fabián Sambueza. Sebastián Hernández (Junior) wins a free kick in the attacking half. Foul by Omar Duarte (Atlético Nacional). Attempt missed. Jeison Lucumí (Atlético Nacional) right footed shot from the centre of the box is too high. Assisted by Yerson Candelo with a cross. Attempt blocked. Luis Díaz (Junior) right footed shot from outside the box is blocked. Assisted by Víctor Cantillo. Hand ball by Omar Duarte (Atlético Nacional). 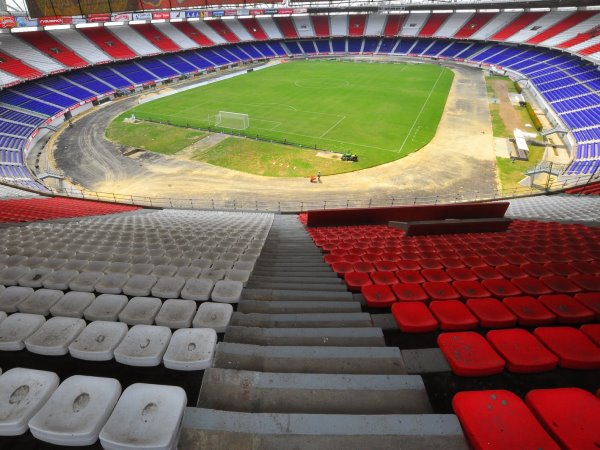 Corner, Atlético Nacional. Conceded by Sebastián Viera. Attempt saved. Yerson Candelo (Atlético Nacional) right footed shot from the right side of the box is saved in the bottom right corner. Assisted by Aldo Leão Ramírez. Offside, Junior. Teófilo Gutiérrez tries a through ball, but Luis Díaz is caught offside. Attempt saved. Omar Duarte (Atlético Nacional) right footed shot from the left side of the box is saved in the bottom left corner. Attempt missed. Sebastián Gómez (Atlético Nacional) left footed shot from outside the box is close, but misses to the right. Foul by Fabián Sambueza (Junior). Deiver Machado (Atlético Nacional) wins a free kick on the left wing. Second Half begins Junior 0, Atlético Nacional 0. First Half ends, Junior 0, Atlético Nacional 0. Sebastián Gómez (Atlético Nacional) wins a free kick in the defensive half. Foul by Marlon Piedrahita (Junior). Attempt blocked. Luis Díaz (Junior) left footed shot from the centre of the box is blocked. Attempt blocked. Aldo Leão Ramírez (Atlético Nacional) left footed shot from outside the box is blocked. Assisted by Deiver Machado. Helibelton Palacios (Atlético Nacional) wins a free kick in the defensive half. Foul by Rafael Pérez (Junior). Leonardo Pico (Junior) wins a free kick in the attacking half. Víctor Cantillo (Junior) wins a free kick on the left wing. Offside, Junior. Víctor Cantillo tries a through ball, but Luis Díaz is caught offside. Offside, Junior. Fabián Sambueza tries a through ball, but Luis Díaz is caught offside. Attempt missed. Omar Duarte (Atlético Nacional) left footed shot from outside the box is too high. Assisted by Aldo Leão Ramírez. Substitution, Junior. Leonardo Pico replaces Jefferson Gómez because of an injury. Delay in match Jefferson Gómez (Junior) because of an injury. Germán Gutiérrez (Junior) wins a free kick in the attacking half. Attempt saved. Yerson Candelo (Atlético Nacional) right footed shot from outside the box is saved in the bottom left corner. Marlon Piedrahita (Junior) is shown the yellow card for a bad foul. Jeison Lucumí (Atlético Nacional) wins a free kick in the attacking half. Foul by Jefferson Gómez (Junior). Offside, Junior. Luis Díaz tries a through ball, but Sebastián Hernández is caught offside. Attempt blocked. Luis Díaz (Junior) right footed shot from the centre of the box is blocked. Assisted by Germán Gutiérrez with a cross. Attempt missed. Víctor Cantillo (Junior) right footed shot from outside the box is too high following a set piece situation. Attempt blocked. Sebastián Hernández (Junior) right footed shot from outside the box is blocked. Marlon Piedrahita (Junior) wins a free kick in the attacking half. Foul by Brayan Rovira (Atlético Nacional). Foul by Luis Díaz (Junior). Attempt saved. Omar Duarte (Atlético Nacional) header from the centre of the box is saved in the bottom left corner. Assisted by Jeison Lucumí. Víctor Cantillo (Junior) wins a free kick in the defensive half. Foul by Aldo Leão Ramírez (Atlético Nacional). Attempt saved. Luis Díaz (Junior) right footed shot from outside the box is saved in the bottom left corner. Assisted by Sebastián Hernández. Offside, Junior. Víctor Cantillo tries a through ball, but Fabián Sambueza is caught offside. Deiver Machado (Atlético Nacional) wins a free kick in the defensive half.